Oh, Bacon. How I love thee so! Sometimes, you just need to satisfy that craving for some savory bacon. Select the healthy alternative and go for a low-sodium bacon to cut down on the salt content. Pairing bacon with brussel sprouts and baking until both are golden brown give a deep, smoky flavor profile to this simple dish. 1) Preheat oven to 365F. 2) Wash and trim ends of brussel sprouts. Cut into halves. 3) Lay brussel sprouts on a baking tray lined with aluminum foil. Take heed to have the cut face of the brussel sprouts facing up. 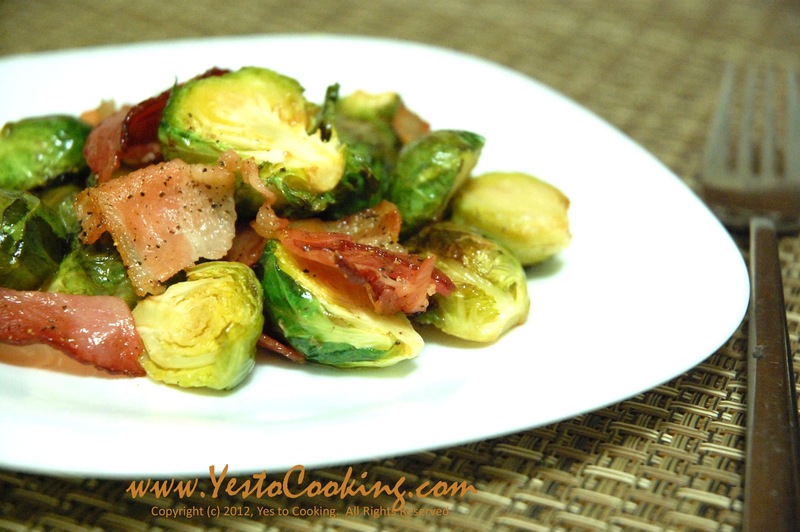 4) Cut bacon slices into 1.5-inch pieces and lay on top of the brussel sprouts. 5) Drizzle extra virgin olive oil with a light hand. Season with salt and pepper. 6) Bake in oven for 45 minutes, but give a turn to the brussel sprouts at the 35 minute mark. Go light on the salt because bacon already has a smoky, salty flavor to it. 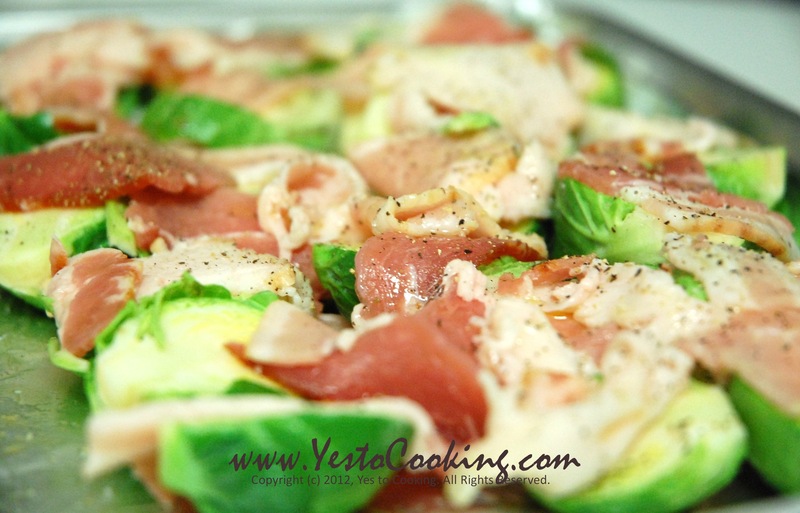 Placing the brussel sprouts cut side up allows the bacon drippings to fall into the little crevices of each brussel sprouts and maximizes the flavor. Tags: bacon, brussel sprouts, cooking, dinner, western. Bookmark the permalink. Looks delicious! I am going to try to prepare it!